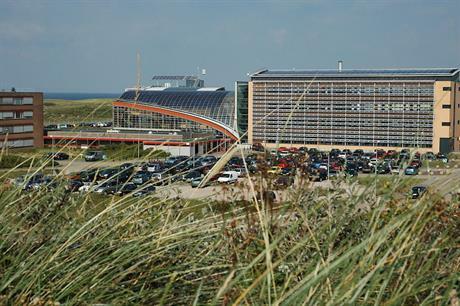 The Energy Research Centre of the Netherlands (ECN), the Royal Netherlands Meteorological Institute (KNMI) and Whiffle, a start-up forecasting company based at Delft University of Technology, began developing a new Dutch Offshore Wind Atlas (DOWA) in June. The group aims to catalogue wind information off the Dutch coast, chart wind changes within a 24-hour period, and provide information from layers of air at altitudes of 600 metres. The new atlas will use data gathered from aircrafts and satellites, as well as from lidar (light detection and ranging) equipment capable of scanning wind fields at altitudes of more than 1km. The group is also updating the existing KNMI North Sea Wind (KNW) atlas with information from 2014 onwards, enabling the dataset to be used to predict wind energy production in wind farms now in the planning phase. "Clarity with regard to the average amount of wind and how often wind speeds reach extreme levels will enable a more accurate estimate of how much wind energy you can generate and how robust wind turbines need to be made to prevent damage or failure," an ECN spokeswoman explained. "Greater certainty about the potential performance of your wind farm also makes it possible to secure cheaper loans from investors. "This reduces the cost of offshore wind energy, a key target set by the Dutch government." The Dutch government set a target of having 4.5GW of operating offshore capacity by 2023 — an increase of 3.5GW from when it set the target in 2016. Over this time frame it also plans to drive down the coast of offshore wind energy by 40%. Governmental organisation Netherlands Enterprise Agency (NEA) commissioned the DOWA project in June and offered a grant of about €1.5 million, ECN said. The project will run until December 2019.